Pigeons in good form that are looked after really well are always up to something special. This is why few were surprised to see racing bird Golden Devil take the win last Saturday, beating 12,942 opponents with a velocity of 1208.573 m/min. He arrived home at 12:48'17", after a 457km race. He got beaten by one of his older teammates however, and this old bird made the race an even greater sucess for Team Clicque, finishing in 3rd place national of 8501 old birds. 49 NAT 19133 BOURGES yearlings ---- DAUGHTER GOLDEN PR. BE17-3061560: Golden Devil : 1st nat. 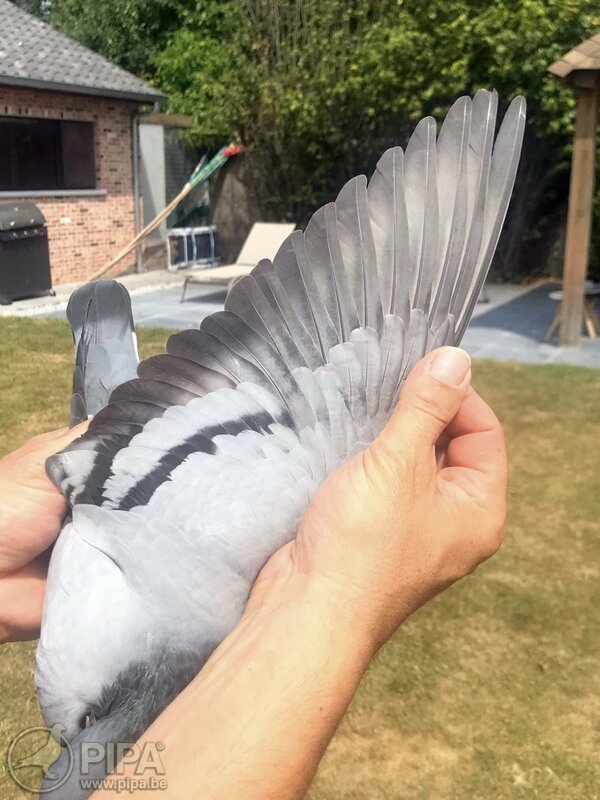 Châteauroux 12,942 p.
After selling his entire old birds' collection in March 2017, many assumed that Gino would have a hard time regaining his place as a top class pigeon fancier. However, turns out his youngsters of 2016 and the youngsters bred in 2017 were just as eager to win races as the pigeons that had just left the team. The parents of Golden Devil were sold as well but that did not keep their son from winning a major race. Sire: BE-3160367: Just Argenton Boy: winner of a 59th nat. Brive of 5951 p. and an 82nd nat. 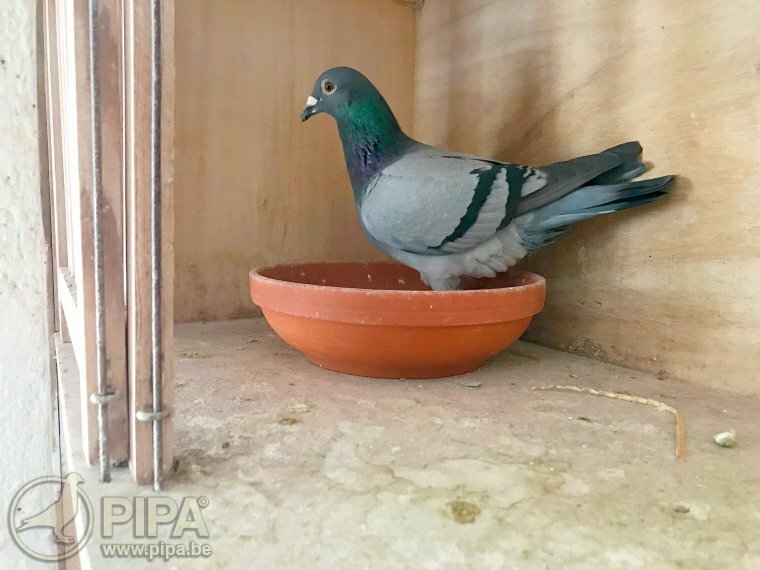 Limoges of 6492 p. This pigeon was sold to Rudi De Saer, who shows to have an eye for talent indeed. 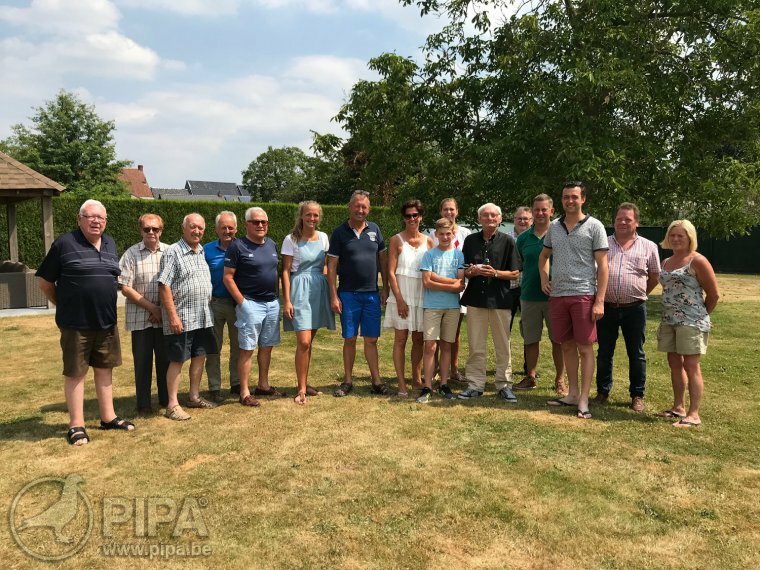 Dam: BE15-3050622: Ida: winner of a 4th interprov. Chateaudun of 4579 p. and an 8th prov. Chateaudun of 2587 p.
Click here for Golden Devil's full pedigree. Golden Devil was quite successful in Bourges (18th nat. of 19,133 p.) and Gueret (67th nat. of 8,517 p.) as well, which means Gino has a tough decision to make. 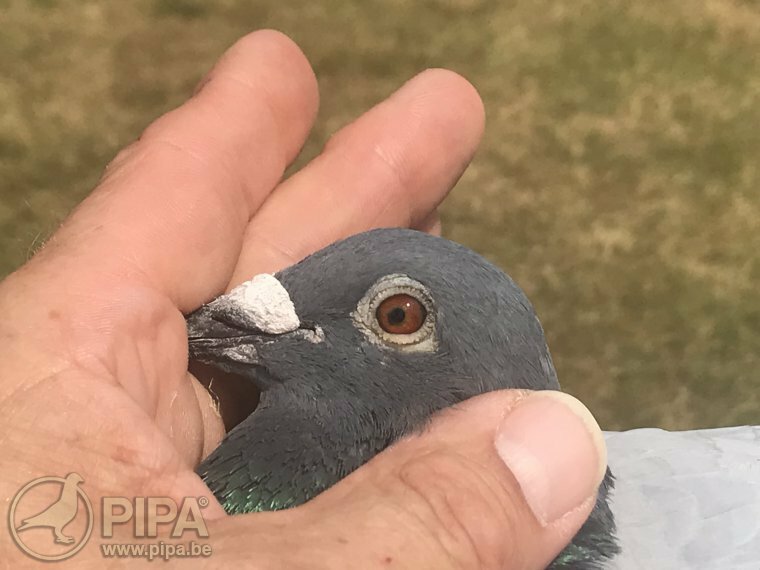 "I usually never race my national winners anymore but with his current coefficient all he might need is one more top result for a chance at winning a national ace pigeon title. It is something I have to take into consideration if the weather allows." Click here for the full pedigree of this new champion.